So this morning I had the absolute pleasure of watching a private early screening of The Avengers, which opens locally tomorrow but is due to release international on the 4th of May. I'm not the biggest fan of the Avengers, and of all the movies that have lead up to this film event, I really only liked the Iron Man ones. But as soon as this movie started I was grinning like a little kid totally bedazzled by the awesomeness on the screen. The Avengers kicks off with a scream and then never lets up save for a few moments to catch it's breath. But even in it's few 'slow' moments the movie is an absolute blast and I can not remember the last time I was so amazed by a big budget special effects movie. Block buster effects are a staple of almost every other action movie that's been coming out recently, but Avengers for me was able to make special effects special again. Without giving away anything let me just say that the movie does sort of expect you to have seen the heroes individual films as it drops a lot of nods to them without explaining in great deal the points it brings up. This is fine though because if you're watching the Avengers chances are you have for sure seen these other movies. Visually Iron Man would have to be the most stunning Avenger on screen, second only to Scarlett Johansson's bum, plus Tony Stark's constant banter makes him the most entertaining. On the other end of the spectrum would be Captain America who I thought had the most boring outfit and blandest character. Mark Ruffalo's Bruce Banner was my favorite character in the film though, him struggling to contain the Hulk was nice and his subtle humor was a pleasant surprise when I was expecting most of the comic relief to come from Robert Downy Jr. But the real star of the movie is the movie itself. All the characters get to rock the screen and have their own moments of glory and for something that has such a massive cast the film never ever feels bogged down. It truly feels like an epic.... sort of like the first time I sat through Lord of the Rings. There's a lot of action, a lot of laughs and even a few moments that jerked my tear glands. It's also interesting to note that even though all the trailers for the movie are awesome, they give away little to nothing of the main plot, or at the very least there are a lot of surprises left in store even if you have watched the trailers religiously. For what it is, The Avengers is probably at the top of its game, and what it is is one hell of an action movie. As soon as the movie finished I was so damn pumped... be sure to stay till after the credits eh. 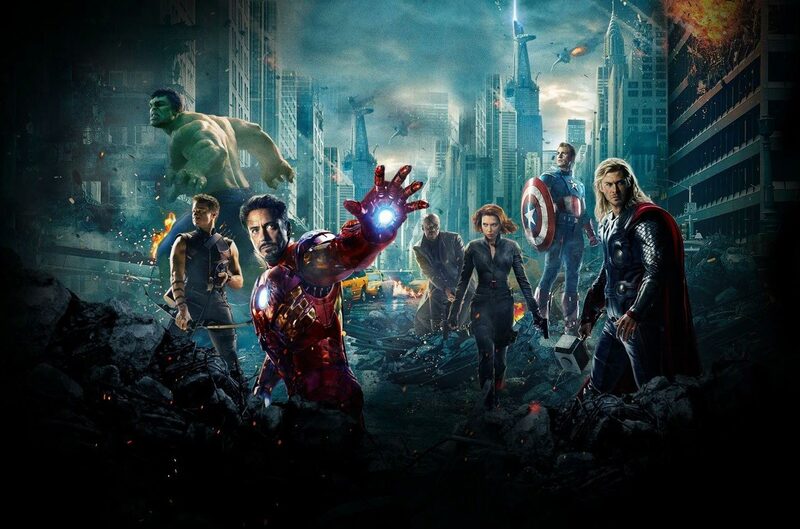 I mean, how lucky you were to get to see The Avengers early... yeah, we're all jealous over here. yeah I got to watch it for work. It really is an awesome movie. It will be well worth the wait. on a similar note - I really wanna watch Cabin in the woods. Read your review for it. To bad we didn't get it here. You're in Fiji, right? I did some asking around and got nothing as far as a release date there... Australia is getting it in July I believe, so maybe you'll see it sometime this summer? We usually get releases before Australia, so fingers crossed I get to see it soon. The next thing I'm looking forward to at the movies is Prometheus.